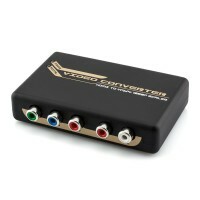 These Audio and Video Converters will convert various types of signal formats to allow connection between devices that would have otherwise been incompatible. Quite often, a particular source device may lack the desired socket to enable connection to a display or sound system. This range of converters makes this possible, with a simple and effective setup procedure that can be completed in seconds. The converters available will facilitate a large range of signal conversions. This includes signal formats such as digital audio, analogue audio, HDMI, SCART, composite video, S-Video, component video, VGA and more. This device will extract digital audio from a HDMI signal which can then be transmitted via S/PDIF (digital audio) or the 3.5mm stereo output together with HDMI pass through. This unit can be powered via USB or mains power (requires optional USB power supply adaptor). This unit will seamlessly extract the digital audio signal from the incoming HDMI input and pass through the HDMI signal at the same time. 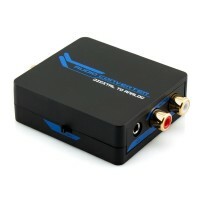 Offers both optical (Toslink) and stereo RCA outputs for a range of connection options. Supports 4K Ultra HD 60Hz and HDR. 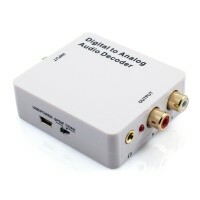 This unit provides digital audio conversion between Optical (Toslink) and Digital Coaxial both ways (bidirectional). As the digital signal remains unaltered, no loss of quality will occur. 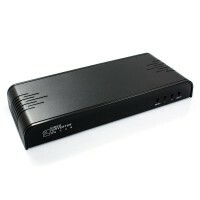 Can be powered via USB or mains power (requires optional USB power supply adaptor). If you're looking for a solution that will allow integration of your previous generation equipment with your HD display, this Component Video to HDMI Converter may be the answer. This device seamlessly converts to pristine 720p or 1080p video, together with audio. 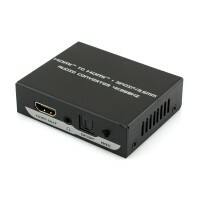 This device provides seamless conversion from HDMI (video and audio) to composite video and S-Video, along with stereo audio (L/R RCA). Ideal to connect newer devices such as Blu-ray players or gaming consoles to legacy equipment (older model displays). 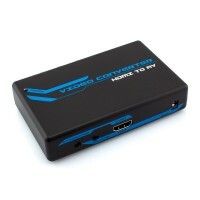 This exceptional converter unit will accept HDMI video and audio as output which is then separated to a Component Video RCA connection and a L/R Stereo RCA connection as output. The internal scaler will ensure that the highest quality video is preserved. This brilliant gadget will instantly convert HDMI input to VGA output with 3.5mm stereo audio for a seamless video and audio connection. This high quality unit is great for connecting modern source devices to a display which only offers a VGA connection. 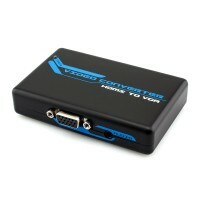 This converter will accept a HDMI video and audio signal and convert the video to VGA or component video. The audio from the HDMI input can also be extracted and output via the S/PDIF (Toslink) connection. Alternatively, this can be converted to analogue stereo output.